Several affiliated Shows around the country staged young handler classes with points awarded to each of the Society’s Junior members placings. The winner of the 2018 Young Handler Accumulator Competition is Jess Evans and the Society sends its congratulations to Jess and to each and every young handler who took part in these classes. Grateful thanks to Mr Matthew Burks (Heavy Horse Herald Magazine) for sponsoring this popular competition and to the Shows staging the classes. 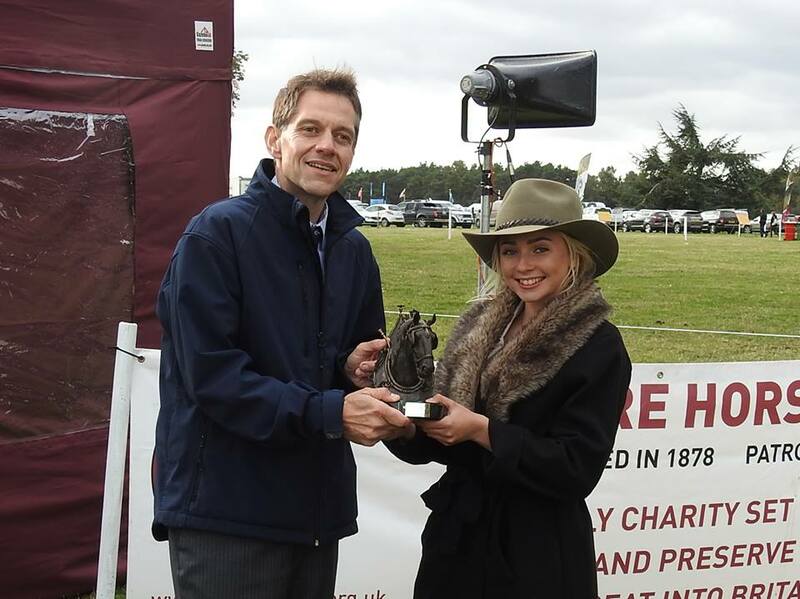 2018 Young Handler Competition Winner, Jess Evans with Mr Matthew Burks presenting the trophy.